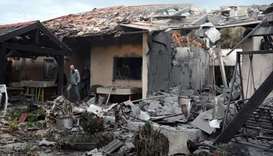 A rocket fired from the Gaza Strip hit a house in a community north of Tel Aviv and caused it to catch fire on Monday, wounding five Israelis, authorities and medics said. 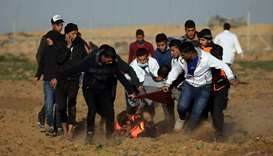 A Palestinian woman was killed in clashes with Israeli soldiers along the Gaza Strip border on Friday, according to Palestinian sources. 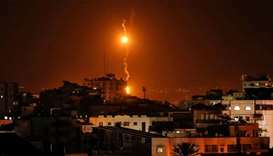 Palestinian journalists gathering in Turkey strongly condemned the continued targeting of journalists in the Gaza Strip, while they are exercising their role in covering events. 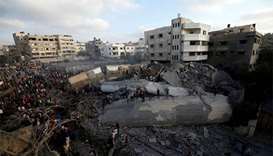 Eight Palestinians, including six school children, were injured in Deir al-Balah following Israeli airstrikes on several locations in the Gaza Strip on Wednesday morning. HE the Chairman of the Qatari Committee for the Reconstruction of Gaza, Ambassador Mohamed al-Emadi inaugurated Sunday the Justice Palace complex in Al-Zahra city in the central Gaza Strip. 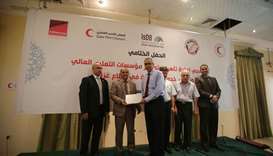 Qatar Red Crescent Society (QRCS) has held a ceremony to celebrate the conclusion of two major programmes in the Gaza Strip, one for higher education and the other for disability and psychological support. 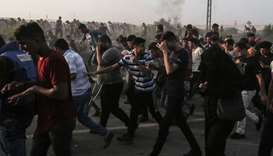 The Israeli army said Wednesday it was closing its sole crossing for people with the Gaza Strip following a protest there, just 10 days after it reopened it. 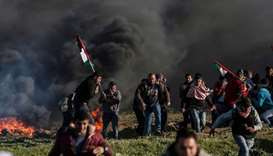 There are three crossings to the Gaza Strip, a Palestinian territory that has been under an Israeli blockade for the last decade. 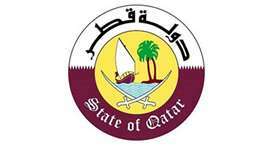 Qatar working to lift the siege imposed on Gaza; affirms continued support for Palestinian people. 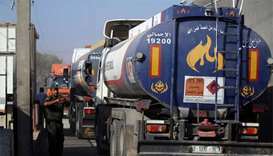 Both Israeli and Palestinian officials confirmed the reopening of the crossing, a key lifeline for Gazans and their crippled economy. 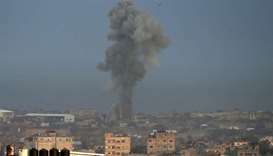 A rise in cross-border rockets and air strikes in recent weeks has prompted the United Nations and Egypt to try to broker a truce to prevent another all-out conflict.